After just barely getting over the excitement and hype from the Grammy Awards, the Oscars arrived with plenty of anticipation. So many celebrities had amazing hairstyles at the Grammys and would seemingly have a hard time following them up. But of course, they found a way to do so and leave us completely in awe with all the great hairstyles. Their quality hair care techniques were definitely on display, and here are some of the most inspirational styles we saw. 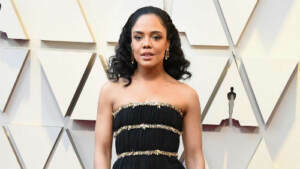 RemySoft always gets questions about how the average person can pull off some of their favorite looks from the Oscars. As much glory as the celebrities get with their hairstyles, you may be surprised at how simple some of them are to accomplish from the comfort of your home. It all comes down to knowing the right techniques and having the appropriate products, so contact us today to see what all you need to create the hairstyle that inspired you the most from the Oscars. Making your hair look voluminous while you’re styling is easy. Maintaining that volume throughout the day is what can be frustrating for anyone. You spend so much time ensuring your hair is exactly how you want it, only to find it looking dull and flat by mid-morning. This can happen to anyone, and particularly people with short hair. Sometimes grabbing your shiny hair extensions is the best route to go when you need to maintain volume. Here are some other tips to maintain your voluminous hairstyle throughout the day. 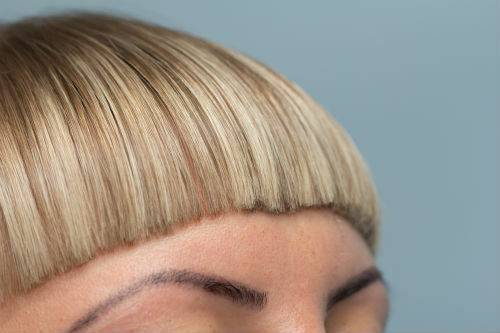 If you are used to parting your hair one way, try parting it the opposite direction. Your hair can get used to laying down a certain way, essentially training the roots to go in one direction. So when you switch up the part, your roots have no choice but to lift up and you’ll maintain the volume throughout the day and for the next several days at least. It’s amazing what this one simple change to your quality hair care routine can do to your appearance. When you tease your hair, the roots are forced to stand upright and will add instant volume. Be sure to use a quality paddle brush to make sure you don’t damage your roots in the process, and use your favorite hair products for Remy hair to help it hold in place. The more you tease your hair, the more voluminous it will appear. Having volumizing hair products for Remy hair in your collection will always help you out when you need them. This could include a volumizing shampoo and conditioner or other products to use after your shower. Dry shampoo can also be a quick fix when you’re in a pinch. The idea behind these types of products is to remove excess moisture from the hair roots so they will stand straight up and not be weighed down by the oils. The great thing about shiny hair extensions is they add both length and volume instantly. People with short hair should select hair extensions that are slightly thicker than their natural hair so the strands will blend in easily. And with most shiny hair extensions, you can use the same volumizing hair products you use with your natural hair in order to maximize the volume. RemySoft believes some of the best hairstyles are the simplest ones. Having an abundance of hair products for Remy hair is fine, but you have to be careful to not use a lot at once. 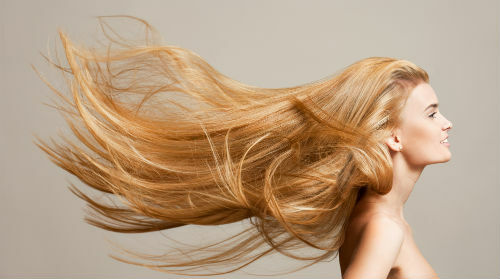 In most situations, the fewer hair products you use, the more voluminous the hair will be. For more hair tips like these, don’t hesitate to reach out to us at any time. It can be a great feeling when you make a minor change to your hair, but everyone you see thinks it looks totally different. People are understandably afraid to make drastic changes to their hair, especially when it comes to the color and length. The good news is you don’t have to make drastic changes to make your hair look drastically different. Oftentimes adding hair extensions or making a slight adjustment to your quality hair care routine is all it takes. Here are three simple changes you can make to your hair to transform the look. Many people keep their hair untucked because they believe it frames their face better. While this is true, tucking the hair behind the ears also has some benefits. When more of your face is showing, you can show off more of your facial features and you may even feel a greater sense of confidence as you go through your day. The only change to your quality hair care routine is tucking the hair behind the ears and pinning it down, while still wearing it straight, wavy, textured or any other style you choose. It’s amazing how much we get into the habit of parting our hair one way. And people also get used to seeing you with your hair parted a certain way. If you’ve gotten used to parting your hair to the left, switch it to the right or the center. Or if you usually part it in the center, pick one side or the other. You’ll notice the volume will increase drastically and people will want to know what you did. Combining the changing of the part with adding hair extensions can make it look like you spent hours at the salon, when it really only took minutes at your home. It’s always a good practice to use a quality sulfate free shampoo and conditioner to be able to work with your hair a little easier. And when you do, you’ll be able to easily blend in hair extensions to add both length and volume. If you have thin hair or short hair, try out hair extensions to see how you like longer hair. You may get some inspiration to start growing out your hair so you can work with it every day and not need the extensions. At RemySoft, we always suggest making minor changes to your quality hair care routine before doing anything drastic. Most people are surprised at how simple alterations can make a major impact without having to change the permanent length or hair color at all. Doing so is the best of both worlds because you can keep the hair you’re comfortable with, but still step out of your comfort zone. For more tips and tricks like these, contact us at any time and we would be happy to help. Another Grammy Awards is in the books and it never ceases to amaze us at how magnificent the hairstyles are of all the celebrities. Some chose to make a statement by going big and bold, while others made just as impactful of a statement by keeping their hairstyle simple. One thing for sure is their quality hair care routine was on point leading up to the Grammys. 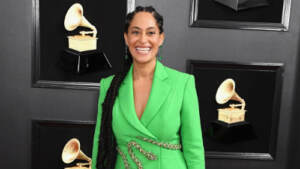 Here are some of the hairstyles that stood out the most to us at the 2019 Grammy Awards. RemySoft always loves getting inspiration from celebrities walking on the red carpet. The Grammy Awards always provide us with ideas on how to use hair products for Remy hair differently to achieve some of the most unique hairstyles. And you may be surprised at how simple some of the hairstyles are to pull off on your own. If you were inspired by any of the hairstyles you saw at the 2019 Grammy Awards, contact us to let us know which ones you liked and we can discuss how you can create them for yourself. Out of all the possible annoyances styling your hair brings, a flyaway that refuses to stay down has to be near the top of the list. Most of us have fought one of these battles before, and you’re not alone if you lost it and had to alter your hairstyle for the day to cover it up. Sometimes you can use multiple hair products for Remy hair to no avail, but don’t give up hope yet! Here’s a quick guide and a few suggestions for taming your flyaways you may not have tried yet. Most of the time you’ll notice flyaways after the hair has been dried and you’re beginning to style it. At that point it’s sometimes too late and you’ll have to resort to trying to hide them. Instead, minimize your chances of discovering a flyaway by changing to a sulfate free shampoo. 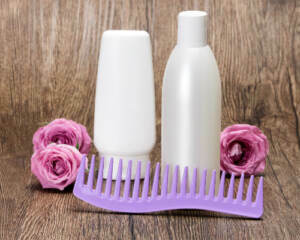 A good quality sulfate shampoo will cleanse the hair and leave just enough oils and moisture in it to prevent frizzy and dry hair, which are some of the main causes of flyaways. If you’ve gotten into the habit of grabbing a towel and rubbing your hair to dry it quickly, you may be contributing to the annoying flyaways you’re experiencing. The fibers from the towel can create frizziness, so opt for air drying instead. You can speed up the process by dabbing your hair with a cotton shirt so it can get a jump start air drying. Then once you have dry hair, there’s a better chance you won’t see any flyaways. You likely are well aware if you have dry hair or not. One bad habit many people with dry hair have is grabbing their hair brush and running it through the hair when they see a tangle. 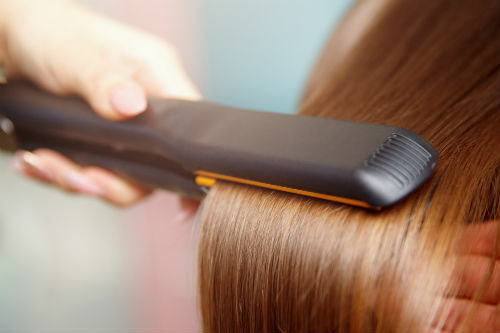 This may get the tangle out, but it could also lead to flyaways because of the increased friction created in the hair. To avoid the flyaways and still get similar positive results, use a wide-tooth comb on damp hair since it will create less friction and decrease the chances of frizziness occurring. Even if you use the best sulfate free shampoo you can find, heat styling tools will always increase the chances of experiencing flyaways. A blow dryer is the main culprit, but a flat iron is up there as well. Try skipping these tools and opting for hair products for Remy hair designed to tame frizziness instead. 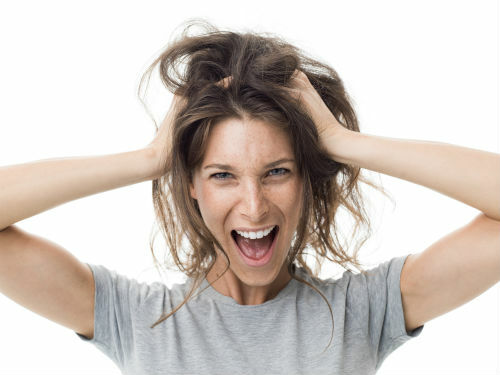 At RemySoft, we know there aren’t many things more frustrating than dealing with flyaways. A perfect hairstyle can be ruined because of them, and it can put a damper on your entire day. There isn’t a single cure-all solution for flyaways, but these tips should give you a starting point to see what technique works best for you. If you have any questions about any of these processes, feel free to contact us at any time. When you’re dealing with split ends, it can seem impossible to find a hairstyle that looks great. We understand exactly what you’re going through, but the good news is there are different ways you can make your split ends manageable. Sometimes it takes a switch in your shampoo, using a different comb or even changing some of the hair products for Remy hair you currently use. 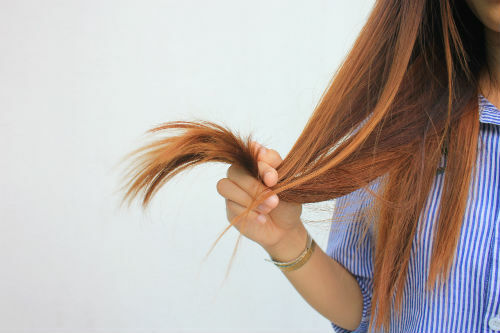 Check out these tips to help you deal with your split ends. Everyone should use a sulfate free shampoo and conditioner, but it’s especially important to do so when you have damaged and dry hair. Split ends are inevitable with damaged hair but a quality sulfate free shampoo and conditioner can prevent them from occurring. Doing so will add in moisture to your hair, while keeping the oils that naturally develop on the hair to protect it and prevent it from drying out. If you constantly have dry hair, then taking the extra step of adding moisture to it will help tremendously. You don’t necessarily have to go over the top with moisturizing products, but making it a point to incorporate them in your hair care routine will go a long way in preventing and managing split ends. Once you trim your split ends, your hair will thank you for the continued use of moisturizing products and the chances of them coming back are much smaller. Believe it or not, you could actually be creating more split ends by the way you brush your hair. 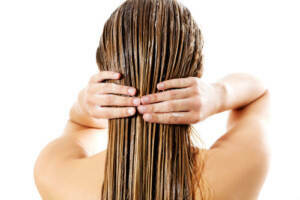 It seems natural and normal to brush your hair right after getting out of the shower, but the truth is brushing wet hair can cause more harm than good since it gets damaged easier. 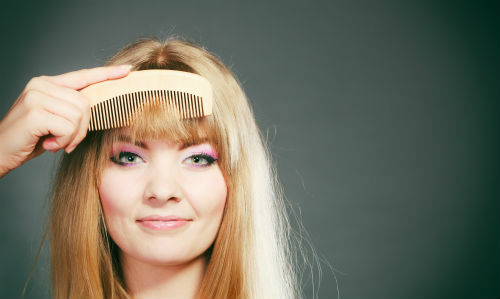 Instead, use a wide-tooth comb to brush through the hair and let it air dry a bit before taking this step. When your hair is damp, a wide-tooth comb is gentle enough to get out any tangles without damaging your hair and causing split ends. 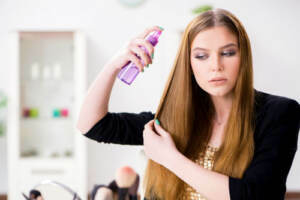 While there are plenty of hair products for Remy hair to help keep yours healthy, there isn’t a single product designed to eliminate split ends. Instead, you have to use a collection of hair products to manage them and prevent any further damage. Most of the time this just means using hydrating products free of sulfates, along with altering your hair care routine as needed. At RemySoft, we understand the struggles you’re going through with managing your split ends. 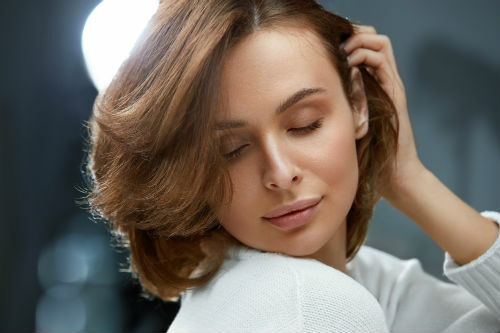 Sometimes you just have to get them trimmed, but establishing a great hair care routine prior to the trim can set you up for great success with your hair afterward. Just because you have dry hair now doesn’t mean you always have to have it, so contact us to see what we can do to help you manage and prevent your split ends.